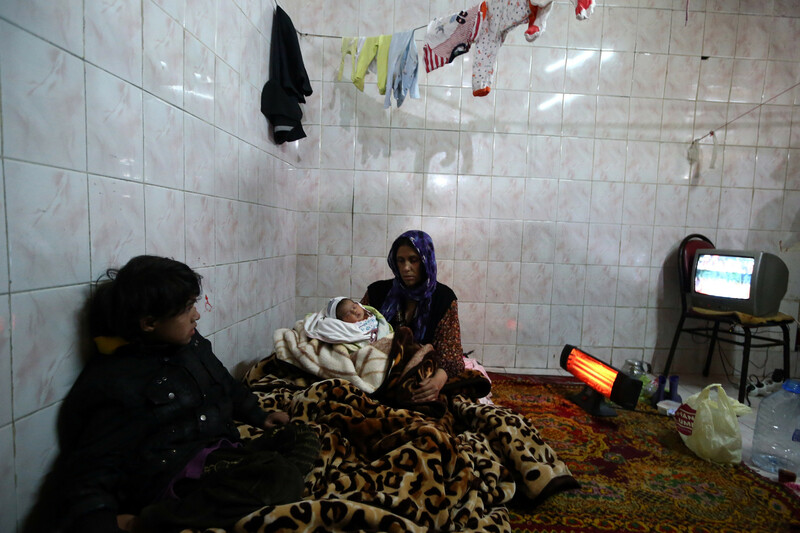 UNITED NATIONS (AP) — The United Nations has more than doubled its estimate of Syrians who are living in besieged areas — and risk death by starvation, dehydration and the lack of medical care — to roughly 440,000. U.N. humanitarian chief Valerie Amos announced the new number Thursday while briefing the Security Council on what she called the “breathtaking levels of savagery” that continue as Syria’s civil war enters its fifth year. The Syrian American Medical Society this month released a report arguing that the U.N.’s estimate of 212,000 people cut off from the outside world was far too low and that the U.N. was inadvertently underplaying the crisis. Amos told the council in her latest monthly update that by any measure, the situation in Syria has dramatically worsened since the council last year approved resolutions aimed at getting more aid to millions in need. She urged the council to act to hold the Syrian government and armed groups accountable for violations of the resolution, which demanded aid access. She said she’d return to the council next month with specific proposals. Many aid groups and others in the international community say the divided council has failed the Syrian people on this and other issues. Russia, Syria’s ally, has blocked actions such as an attempted referral of the country’s situation to the International Criminal Court, though some diplomats say they’d like to try again for a referral. Syria’s ambassador to the U.N., Bashar Ja’afari, again on Thursday blamed much of the chaos in his country to what he called terrorists supported by “outside forces.” Amos again blamed the Syrian government for placing numerous obstacles in the way of aid delivery. 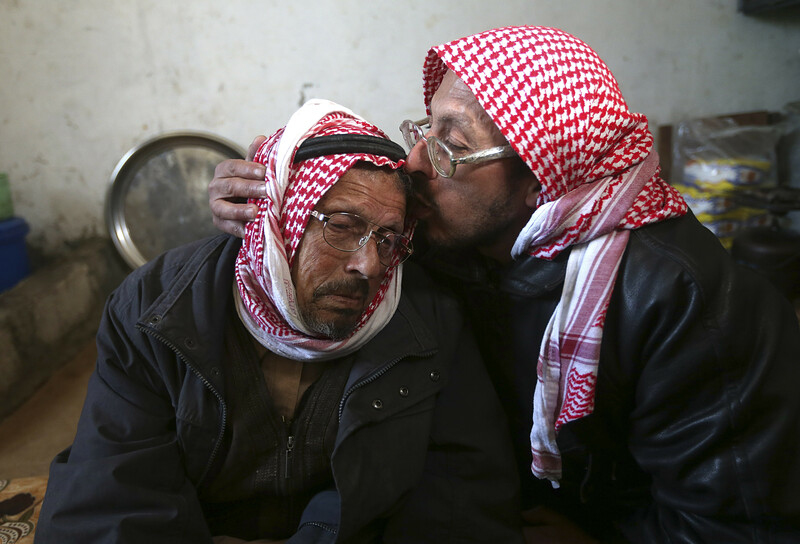 Syrian refugee man Mohammed Bakkar, 44, right, comforts his father Ahmad, 80, as he cries while telling his family separation story during an interview with The Associated Press at a school-turned refugee shelter at the Lebanese-Syrian border village of al-Rama, north Lebanon. For more than two years, they have been waiting for a day when they can reunite with their loved ones living in a Jordan refugee camp. Syria’s conflict started in March 2011 with protests against President Bashar Assad. More than 220,000 people have been killed and almost 4 million people have fled the country since then, while the Islamic State group in the past year has seized parts of the north and east. Amos on Thursday expressed concern about the fate of the northern city of Idlib, where a consortium of rebels launched an offensive earlier this week. The increased violence there “has the potential to displace hundreds of thousands more people,” Amos said. She called for residents to be given safe passage to leave if needed. Amos later told reporters that $8.5 billion is needed this year to address the crisis both in and outside Syria, whose neighbors say they are overwhelmed by millions of refugees. In a statement, the council welcomed next week’s international pledging conference for Syria, which will be held in Kuwait, and expressed the need for “urgent funding” for the crisis.